Nowadays, an optimized Google My Business profile & listing becomes more and more important for businesses as it allows them to increase their exposure and search traffic. 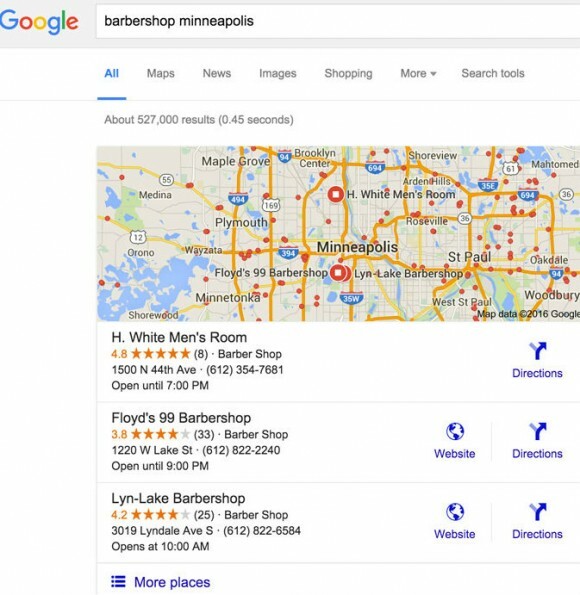 In this way, businesses can appear on queries that match their products/services in local search results. What is the benefit for your business? 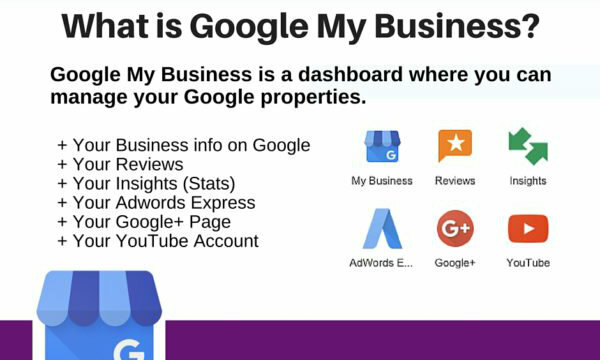 A Google My Business Listing helps your business be seen in Google’s dashboard that combines Google Plus, Google Maps and Google Search and is based on the relevance, the distance and the prominence of your result. See what your property looks like via photos and even videos. 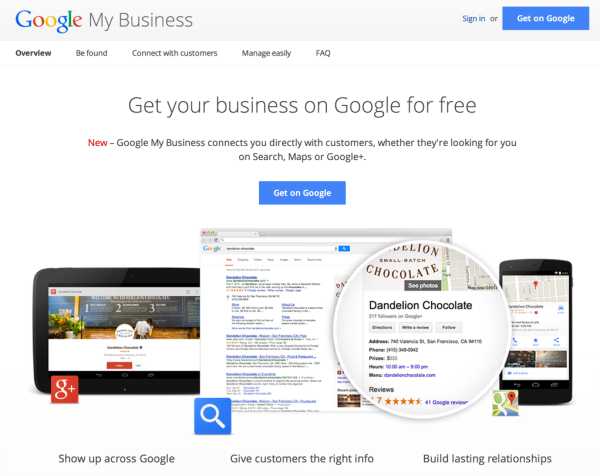 How can I optimize my Google My Business Listing? Below you will find some tips to help you add value to your business listing. 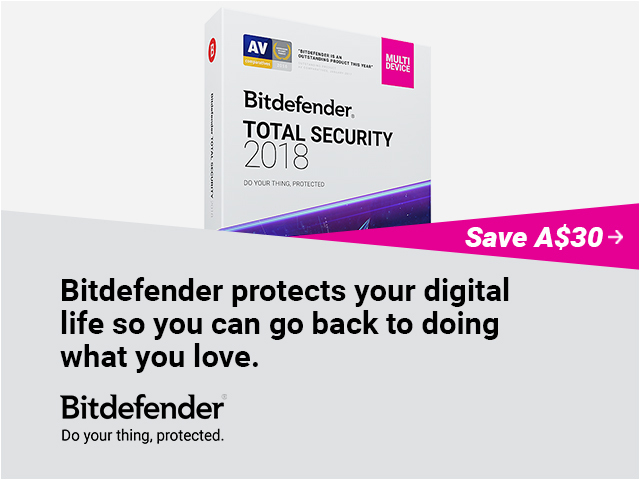 Follow the Location Verification process – wait for 1-2 weeks for a postcard with a unique 5 Digi code to arrive to the business address – and remove any duplicate locations that may currently exist. It is very important to provide your physical address, your phone number, your website URL and your accurate business hours. In the “About” menu of your Google+ Page, you can add a tagline and an introduction with links and chosen keywords to your business which will become your meta-description. Try to make your “story” as compelling as possible to encourage CTR with features as sub headers, bullet points and short paragraphs. Don’t forget to keep it updated. Categorize your business listing so as to make it easier for your customers to find you on the network, but also make your business stand out from the other pages of similar interests. You may find here an article with more information on Business Categories, by Google. Once a week you need to update your Google+ page with posts so as to help Google index your content faster. An easy way to do that is to also share the content that you publish on your other social media pages to your Google+ page but if you have time it would be even better to create unique content in G+ and more oriented to G+ communities. Add photos to your G+ so as to show people your products/services and how your business looks like. These are the photos you can upload: A Profile Photo, A Logo Photo and a Cover Photo. You can also add photos such as a restaurant menu, exterior and interior photos and much more. Not to mention that Google+ also gives you the chance to add animated GIFs. Tip: Google+ also gives you the opportunity to use a Trusted Photographer for a Virtual Tour. It is not free, but if you have the budget to do it, do it so. The first 45-50 characters of your Google+ posts should contain keywords as they become that posts’ page titles in Google’s search results. Post regularly, include famous hashtags and try to accompany your posts with photos, industry news, events in town, employee or sales announcements or posts that answer questions that customers have set. Also don’t hesitate to add videos with keywords. If you have set up your Google+ page for over than 30 days and you’ve got a profile photo and more than 10 followers, you can claim a custom URL that matches your brand. This custom URL will be much easier discovered and shared. Here you will find a guide with further details Custom URLs for Your Google+. Every Google+ page gives you the opportunity to add links essential to your business in the ‘Links’ section. You could add a link to your website, your blog, your social media pages or any page you want to drive traffic to and from. 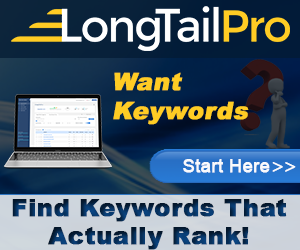 One of the best ways to improve your business visibility and popularity is with the ranking feature that benefits both customers and businesses. Customers check information from other people and meanwhile businesses build relationships with their customers by replying to the reviews received about their business. In addition, positive reviews from trusted sources will increase the likelihood of a potential customer visiting your business. Start adding people relevant to your business to your circles and then the majority of them will add you as well. Adding people to your circles, following and interacting with others in your industry will give your business page more exposure and trigger the sharing of your posts. Also do not neglect to join Google Plus communities (they are like Facebook Groups, Online Forums etc.) 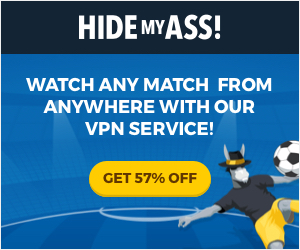 related to your location and interests. 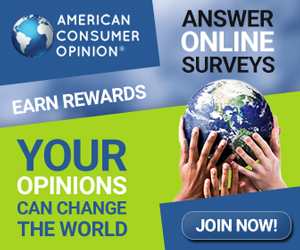 Make comments, participate in relevant discussions and hangouts. Now that you have had your Google+ listing and business page set up and optimized, you need to track your Google+ success. 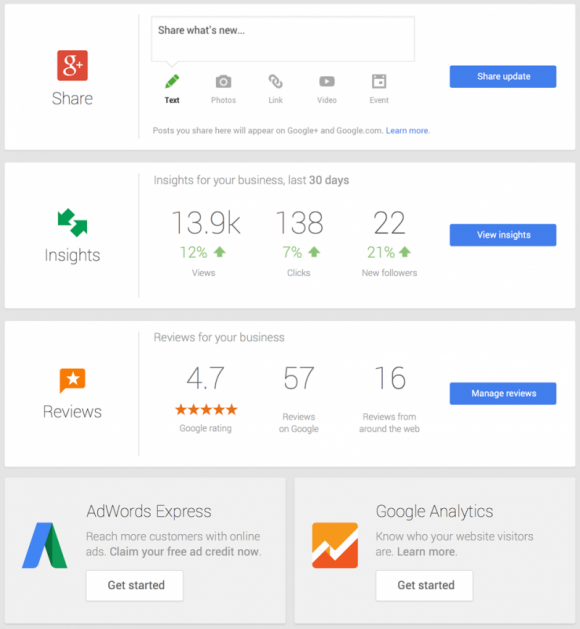 Check your Google My Business Insights and Google Analytics for traffic from your G+ Page, behavior data and control if any of your posts resulted in conversions. If you follow all of these tips, your business will start showing up in local search results for the related search terms and could attract new customers to drive local traffic. The only thing you need to do is to create local content with keywords and let your business shine! If you get revenue from any form of local search, we would love to hear more about it in the comments below. Let us know which tactics worked well for you and which didn’t.